Byzantine Chains Typ-Round solid 925 Sterling Silver! Byzantine chain Round lenght 100,0 cm, for men and women, also for larger pendants like Bling Bling or Gothic. Byzantine chain Round lenght 95,0 cm, for men and women, also for larger pendants like Bling Bling or Gothic. Byzantine chain Round lenght 90,0 cm, for men and women, also for larger pendants like Bling Bling or Gothic. Byzantine chain Round lenght 40,0 cm, for men and women, also for larger pendants like Bling Bling or Gothic. Byzantine chain Round lenght 80,0 cm, for men and women, also for larger pendants like Bling Bling or Gothic. Byzantine chain Round lenght 75,0 cm, for men and women, also for larger pendants like Bling Bling or Gothic. 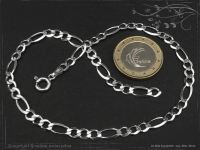 Byzantine chain Round lenght 70,0 cm, for men and women, also for larger pendants like Bling Bling or Gothic. Byzantine chain Round lenght 65,0 cm, for men and women, also for larger pendants like Bling Bling or Gothic. Byzantine chain Round lenght 60,0 cm, for men and women, also for larger pendants like Bling Bling or Gothic. Byzantine chain Round lenght 55,0 cm, for men and women, also for larger pendants like Bling Bling or Gothic. Byzantine chain Round lenght 50,0 cm, for men and women, also for larger pendants like Bling Bling or Gothic. Byzantine chain Round lenght 45,0 cm, for men and women, also for larger pendants like Bling Bling or Gothic.